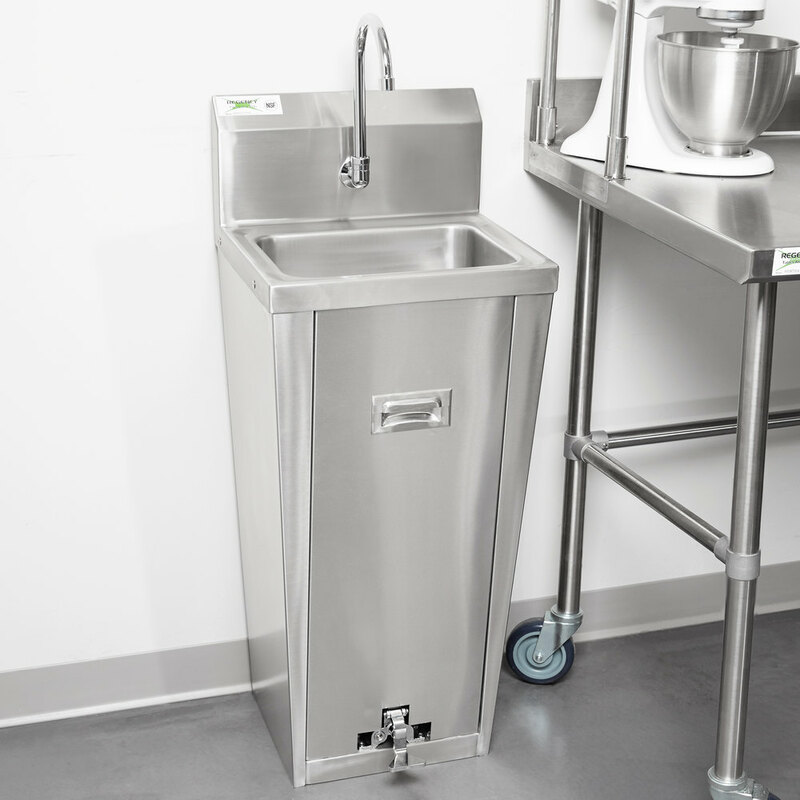 Thanks to its simple foot pedal operation and hands free splash mounted faucet, this Regency HS17FTPD hand sink with pedestal base helps prevent the transfer of germs and bacteria, making it an ideal hand washing station for commercial kitchens and industrial locations! 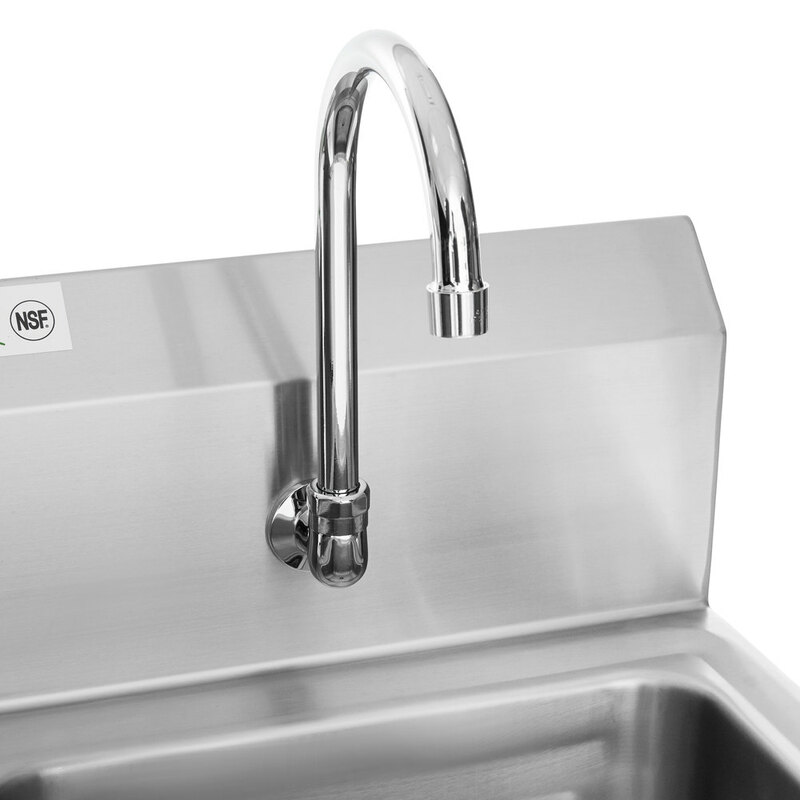 With a conveniently placed foot pedal at the base of the unit, employees can turn the sink water on or off without touching anything, so they can thoroughly wash their hands without contaminating sink handles. 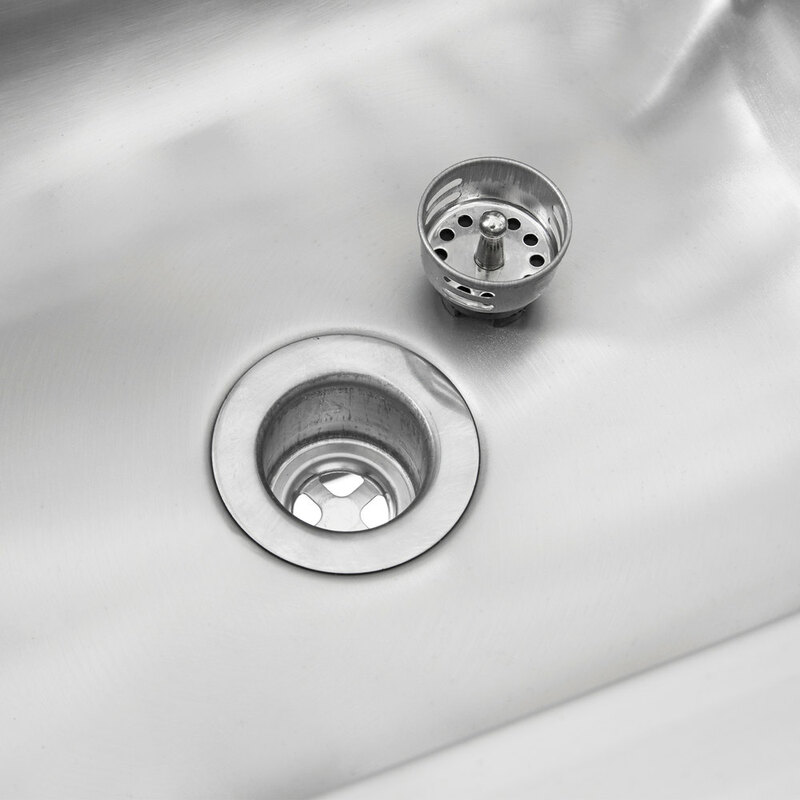 Made from durable 18 gauge, 304 stainless steel, this sink features a seamless, sanitary design that protects against dirt and debris build up. The base is easy to wipe down with a food-grade sanitizer, and thanks to the 8" backsplash, the surrounding walls are protected from water. The deep drawn, 5" bowl comes with a 1 1/2" drain basket to help prevent clogged lines, while also making it easier to clean the bowl. A 6" gooseneck faucet is included for excellent reach and clearance. 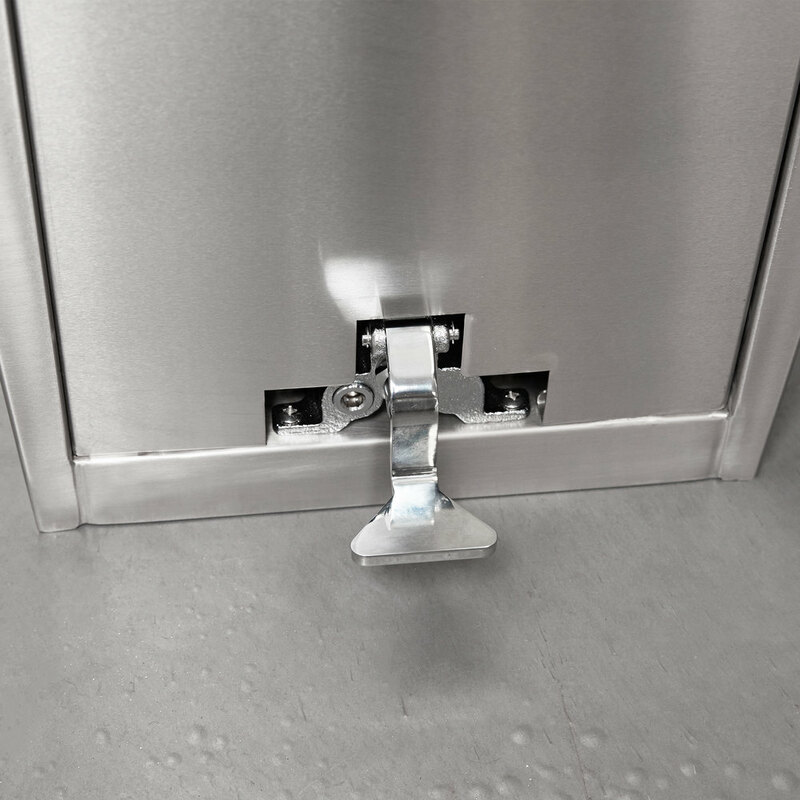 The added height will provide sufficient space for comfortable hand washing. The screw on the side of the pedal valve allows you to adjust the temperature of the water fed to your spigot, so you can have water as cold or hot as you wish. 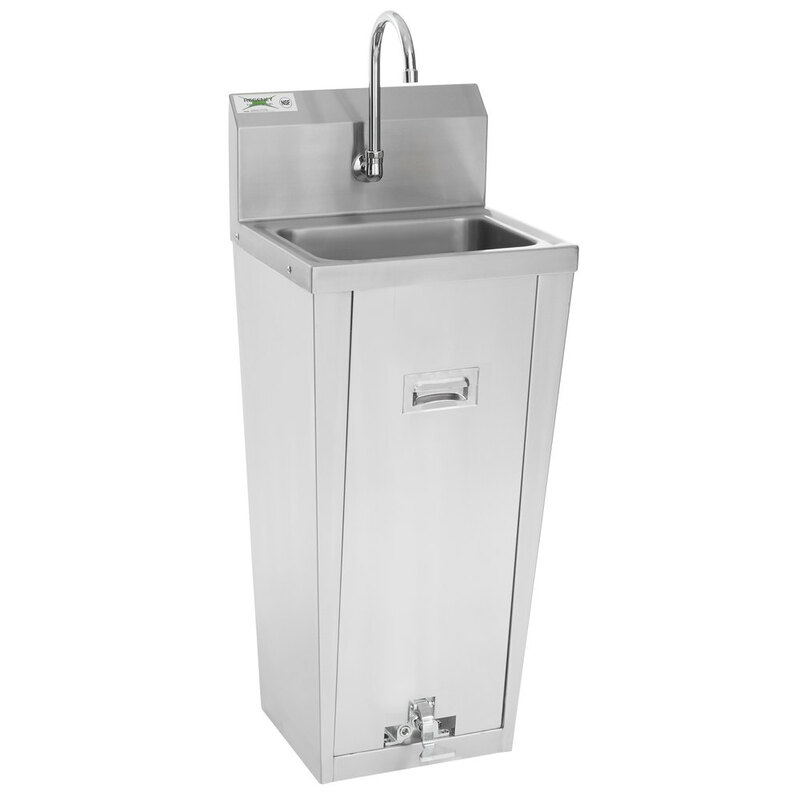 A necessity in any restaurant or catering kitchen, this hands free, hand washing sink is a simple and economical purchase. Keep your foodservice or healthcare environment clean and sanitary by investing in this Regency sink! Front to Back: 13 3/4"